Millennials Are No More Liberal On Gun Control Than Elders, Polls Show Polling suggests millennials are more liberal than earlier generations on many social issues except gun laws. Pollsters say they can't explain this anomaly. Some millennials are surprised by it, too. 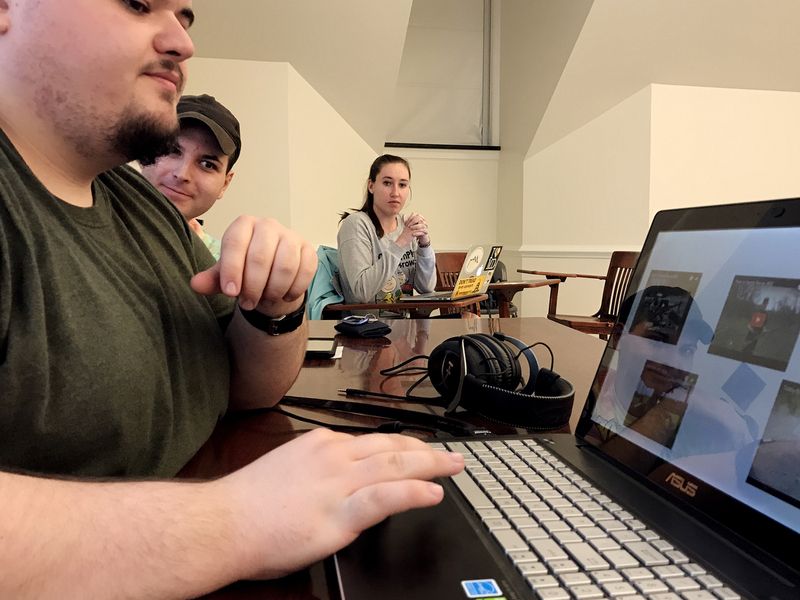 Kyle Schmitt (from left), Owen Uber and Jordan Riger watch videos of firearm demonstrations at a meeting of Students for the Second Amendment. According to its website, the student group wants to "erase the negativity associated with firearms" at the University of Delaware. Some have called them the "voice of a generation on gun control" that may be able to turn the tide of a long-simmering debate. "Sometimes people surprise us, and this is one of those instances that we don't know why," says Frank Newport, editor-in-chief of Gallup. "Young people statistically aren't that much different than anybody else," Newport says. 'What a whole generation feels'? "What we're hearing now in the immediate aftermath of Parkland might not be representative of what a whole generation feels," Parker says. 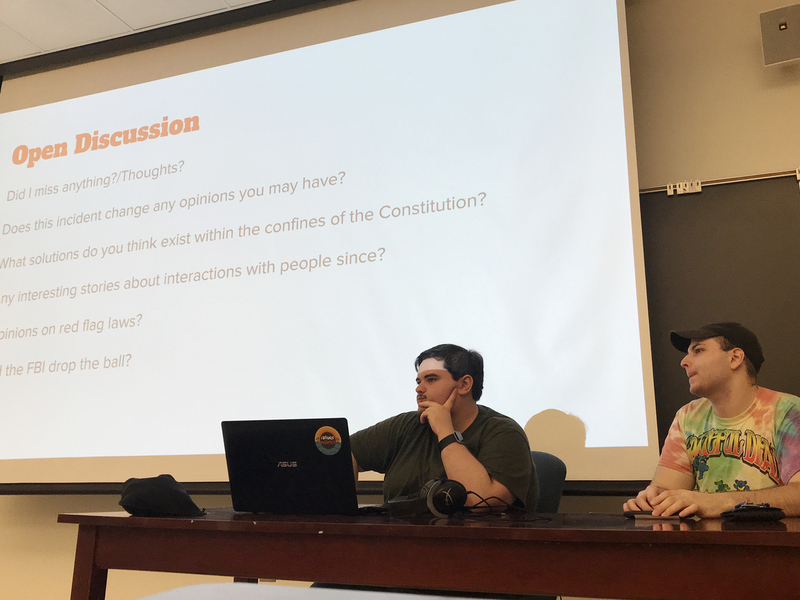 Kyle Schmitt (left), 22, vice president of Students for the Second Amendment at the University of Delaware, and Owen Uber, 20, participate in a discussion on the shooting at Marjory Stoneman Douglas High School in Parkland, Fla., that left 17 people dead. To be clear, many demographers argue that millennials make up one part of today's generation of young people. Some say that millennials include people born in the 1980s and all the way through 2000. The teenage high school activists who have been organizing since the Florida shooting, they say, are part of a separate group some call "Generation Z." Pollsters generally don't count the views of those under 18, so there probably won't be national polling on this group until more of these young people are officially adults. "I think that's surprising because I feel like we're a more progressive generation," says Kaye, who attends the University of Delaware. "We've grown up more, I think, with this kind of gun violence, so you'd think maybe we'd push for more regulations," she adds. Jordan Riger, 22, uses her laptop to track attendance for a weekly meeting of Students for the Second Amendment at the University of Delaware in Newark, Del. She sees firearms as tools for self-defense. 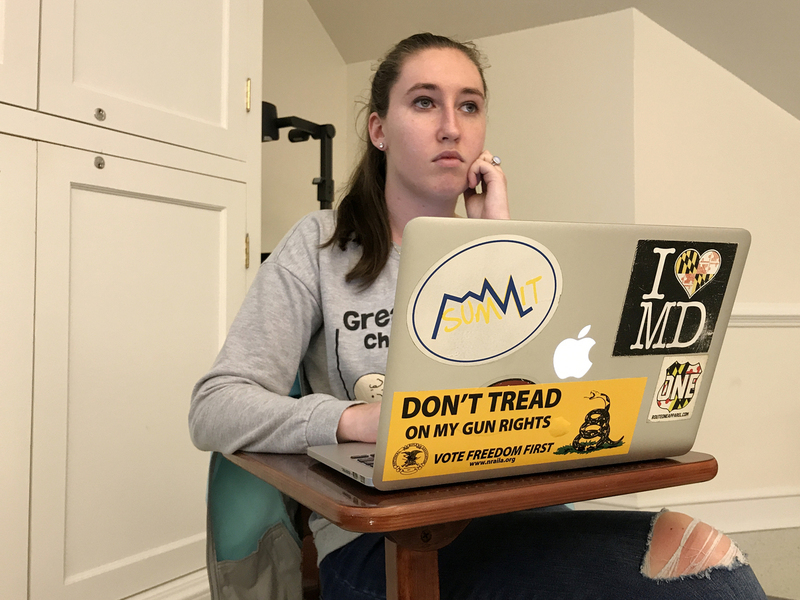 The club's treasurer, Jordan Riger of Lutherville, Md., 22, says that after taking an National Rifle Association course on pistol shooting when she was 18, she has seen firearms as tools for self-defense. But she thinks many of her millennial peers don't. "We are living in a time right now where we're seeing a lot more of these mass casualties," Riger says. "I think when people don't know that much about firearms, when they see it on the news used in horrible fashion, that's like all they associate it with." Sitting outside a student center on the University of Delaware's campus, Cahlil Evans of Smyrna, Del., 20, says while he doesn't need a gun, he can understand why people would want hunting rifles and handguns. He draws the line, though, for assault-style rifles. "There's no need for these high-caliber rifles that pierce through walls," Evans says. "People can say they use them for hunting or whatever, but why do you need a weapon with such high caliber that it would pierce through the animal and like eight trees behind it?" "I base what we need off of what the military has," says Grunden, who is president of Students for the Second Amendment at the University of Delaware. "When it comes to ... the Second Amendment, we're supposed to be a well-armed and well-maintained militia and all that. Quite frankly, we need that and plus more."